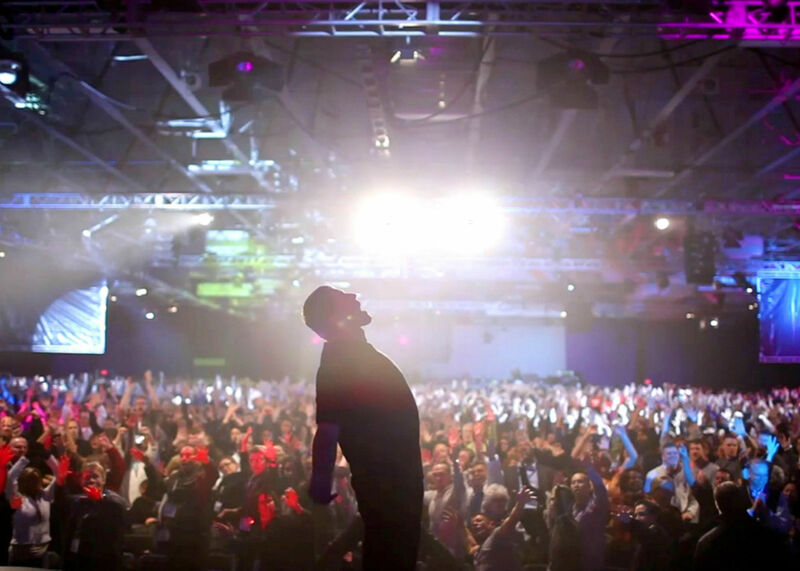 Award-winning social documentarian Joe Berlinger seems an unlikely storyteller to present life coach Tony Robbins’ “Date with Destiny” seminar to the world at large. Introducing Tony Robbins: I Am Not Your Guru (2016) at its SXSW premiere ahead of the July 15 Netflix release, Berlinger said that he is known for making “feel bad” movies, and this is a “feel good” movie. So what was it about Tony that inspired Berlinger to make this upbeat, straightforward film about a life coach’s session of six marathon days with 2,500 people who’ve flown in from 70 countries to get inspired? 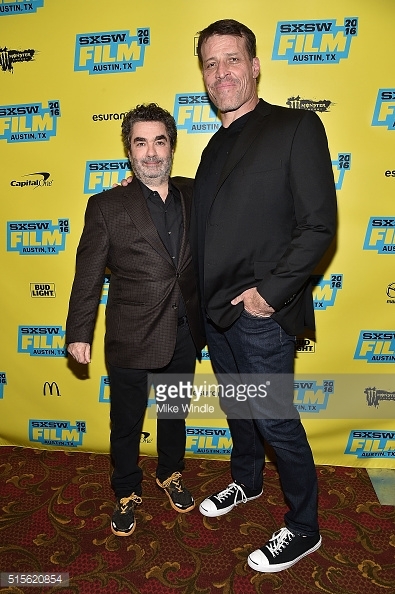 At SXSW, Berlinger told me he met Tony socially several years ago. “I think he sensed when we were having a conversation that I was having some issues in my life, so he invited me to Date with Destiny,” Berlinger said. “I am not a seminar guy.” An investigator of social ills, Berlinger attended Robbins’ event in 2012 “with extreme skepticism,” a default attitude he deems essential for anyone who makes the kind of documentaries he does. Berlinger spent the next two years “chasing him to do the film.” Robbins was concerned that the film would interfere with the attendees' experience and that condensing 72 hours into two would lose the essence of the experience. Finally, after Belinger promised that Robbins could pull the plug at any time, Robbins agreed. Instead, this time, he wanted to give people two hours to think about the direction of their own lives. “As silly as this sounds, there was such a spirit in that room of 2500 strangers from 70 countries really caring and supporting each other in a way that I thought was incredibly unique, that I have never seen before,” he said. “I think if more of us spent more time connecting to our core and remembering who we are and achieving the best out of life and caring for one another and being interconnected with one another, instead of screaming at each other,” then we might not have so many problems as a society. In the film, Robbins also says, "I can’t fix you because you're not broken.” He emphasizes that we shouldn’t think the goal is to have no problems — we should see our problems as opportunity. “That’s the whole ball game: seeing your life as a series of experiences that have made you who you are today,” Berlinger said. “I had a certain kind of childhood that has made me want to dedicate my life to discovering the truth. Had I not had the childhood I had, I would not be the filmmaker I am today. I’m pretty proud of what I have been able to achieve and very happy with what I do for a living. And that directly came from negative experiences, and so, it’s all how you interpret things. That’s what Tony’s great gift has been to me is allowing me to reframe the experiences of my life so I see them as a positive instead of a negative.” Likewise, in the first intervention shown in the film, Robbins talks about “blaming people effectively — if you're gonna people for all the bad in your life, you've got to blame them for the good,” Berlinger paraphrased.